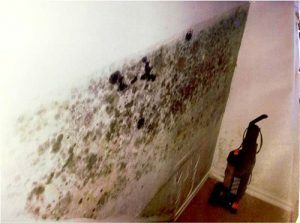 Often out of sight, mold can multiply and grow in the darkest and dampest of places, causing numerous health issues and costly property damage. Allow our team to provide you with an initial consultation. Having achieved the title of Certified Mold Remediator (CMR), each of the employees on our staff is highly qualified to not only assess your property to determine the existence of mold, but each technician can also draw up a plan of action to rid and prevent the mold within your home or place of business. A certified environmentalist can provide an indoor air quality test to ensure proper living conditions. Call or email AAA Standard Services, Inc.today for professional mold remediation.